Fort Saskatchewan, Alberta based Telus/Cambridge Electronics Incorporated is pleased to announce that the latest Apple iPad Pro 12.9” will soon be available on its web store as part of the ongoing Best Black Friday Tablet Telus Deals! promotion. The new iPad Pro 12.9” is the newest iteration of the tablet’s professional lineup from Apple. Unveiled last October 2018 in Brooklyn, New York; the new iPad Pro is smartly designed and fully packed with advanced technology boasting an edge-to-edge Liquid Retina display, Facial recognition ID and lightning fast A12X Bionic chip. Apple is taking its customer’s photo, gaming and augmented reality experience to another level. 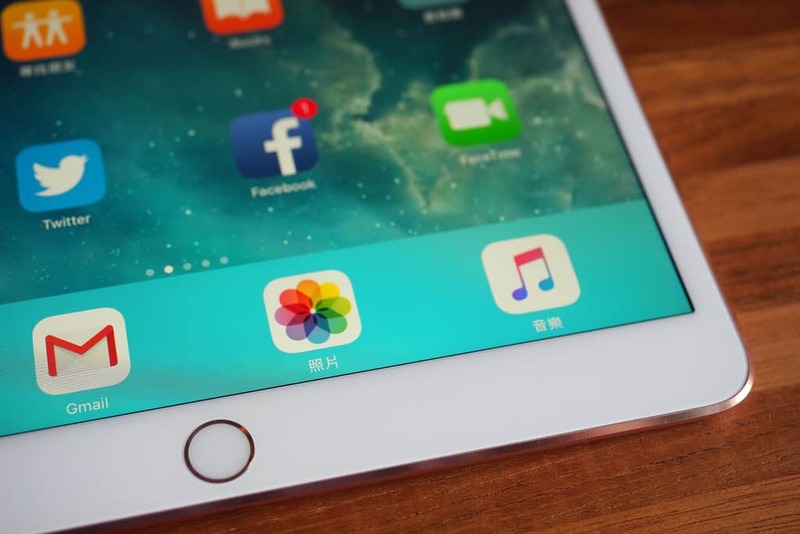 Thanks to its highly advanced A12X Bionic chip, the new iPad Pro is tested to be 92% faster compared to other portable PCs in the market. Consumers will also get to enjoy 10 hours of device usage on the thinnest and most lightweight iPad Pro ever. Apple also designed the new iPad Pro with customizable multi-tasking tools and intuitive gestures. With this, users are able to run multiple apps, move objects between apps by “dragging and dropping” and switch apps with just a few taps and swipes. Some other notable specs of the new iPad Pro include the Liquid Retina display, 12MP rear camera with Quad-LED true tone flash, 7MP front facing camera featuring Apple’s “TrueDepth” technology with FaceID recognition and internal memory of 64GB together with the familiar built in nano-sim card tray. “We love how people use our products to create truly wonderful things and put them out into the world. We always believed deeply in the power of creativity for its power to change things. We’re so grateful to the people who create every single day,” says Tim Cook, CEO of Apple, during the unveiling of the tech-giant’s latest products last October. Content creators in the creative field will also get to experience the new and improved second generation Apple Pencil and Apple Smart Keyboard (coming very soon as part of Telus Black Friday Specials, priced at $168.99 and $238.99 respectively). “The new iPad Pro will push what you can do on an iPad or on any computer, even further,” Cook added. The new iPad Pro is also gaining a lot of popularity and positive feedbacks from numerous tech-review websites due to its responsiveness, impressive screen display, long battery life and superb audio quality. “The iPad Pro is the quintessential tablet for power users and creative pros. It’s so fast that I imagine the likes of Qualcomm and Intel are getting nervous. This tablet wiped the floor with premium Windows laptops and 2-in-1s, in both benchmarks and real-world tests. The iPad Pro’s display, sound and battery life are also top-notch, and the improved Apple Pencil is more comfortable and easier to store,” says Mark Spoonauer from Laptop Mag, giving the new iPad Pro an editor’s choice rating of 4.5/5. Jeffrey Van Camp, editor from Wired, called the new iPad Pro as “almost a laptop killer.” “By every measure I can think of, this is the best, most powerful, most capable iPad I’ve ever used. It puts other tablets to shame. No laptop can emulate the drawing capabilities of the Apple Pencil, or feel as natural to hold and use with touch. It’s not even close. The new iPad Pro has a clear lead over PCs there,” he added. The new iPad Pro is probably the best choice for users who are either upgrading their current device or planning a “switch” from their good old PC/laptop to a tablet. The speed, impeccable display, long-battery life and portability are some of the many reasons why the new iPad Pro offers the best value for money. Be on the look-out for Telus Black Friday Deals and become one of the firsts who can get their hands on the newest iPad Pro. Out of the box, the new iPad Pro comes with the device, travel charger, USB-C cable, SIM tray removal tool and a quick start guide. Interested customers may visit Telus’s official website and Facebook page for additional information regarding its ongoing promotions. Telus is also extending an invitation to the general public to visit its Fort Saskatchewan store to know more about its latest deals and offerings.